Champlain on Georgian Bay 1615. Painted 1895-1900, John David Kelly, McCord Museum, Montréal M993.154.314. 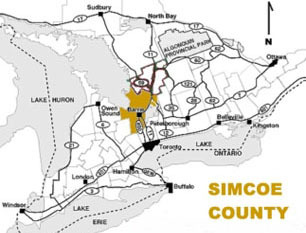 On August 1, 1615 the French explorer and early Canadian pioneer Samuel de Champlain, travelling in a multiracial party of several large canoes, landed somewhere on the more northerly Georgian Bay shoreline of what is now Simcoe County, due north of the Greater Toronto Area. This geography was then the heartland of the surprisingly sophisticated agricultural society of what the French called the Huron confederacy, known in its own language as Wendake. 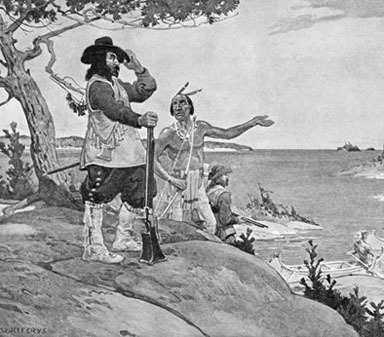 The French encounter with the Huron in the first half of the 17th century marks the dramatic (and even traumatic) opening chapter in the modern “written” history of today’s most populous Canadian province of Ontario. 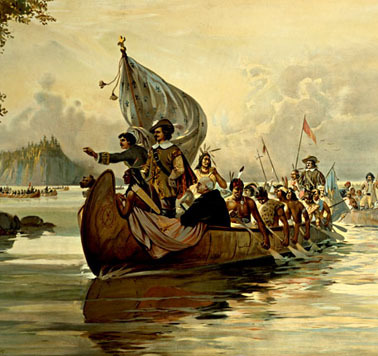 The 400th anniversary of Champlain’s arrival in old Huronia/Wendake is being celebrated in various parts of Ontario on, before, and after this coming Saturday, August 1, 2015. At the peripatetic Linsmore Institute of East York, South Oakville, and East Toronto (and, most recently, the Duke of Gloucester on Yonge Street, south of Bloor), we have been working on a few celebratory notes for the space below, as our contribution to giving the 400th anniversary the attention it deserves. 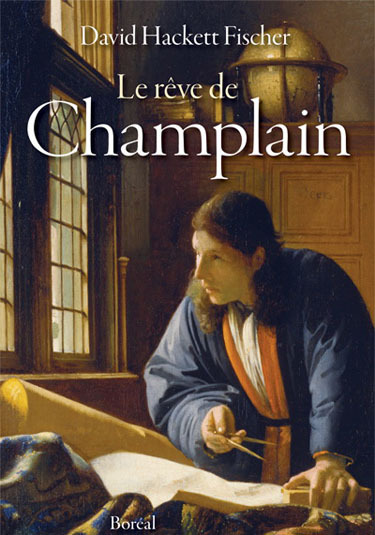 Without neglecting many other intriguing events as noted above and elsewhere, the biggest “Champlain 400” celebration is almost certainly the “Rendez Vous Champlain” extravaganza in the Town of Penetanguishene, on the actual anniversary weekend, Friday 31 July – Sunday 2 August 2015. CLICK HERE for the detailed schedule, which includes a “Re-enactment of Champlain’s arrival with 20 birch bark canoes and over 150 actors in full-costume” on the morning of Saturday, August 1, 10–11:30 AM. 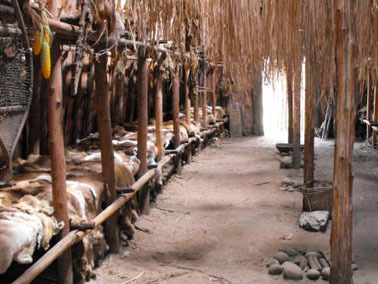 Inside a reconstructed Huron longhouse. 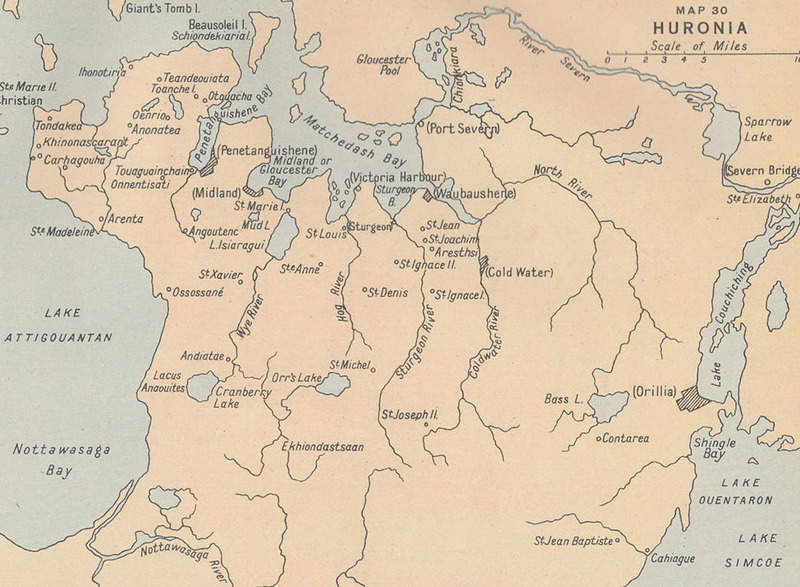 Map of old Huronia./Wendake, with one analysts’s idea of the locations of early 17th century Huron/Wendat villages, and later French missions (and with present-day places in brackets/parentheses). 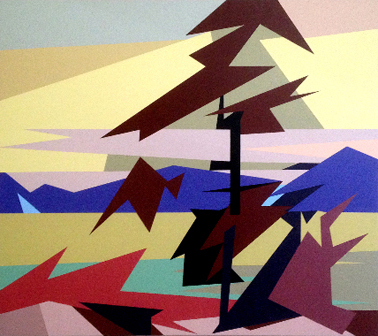 Douglas Coupland, Thomson Pine Experiment. 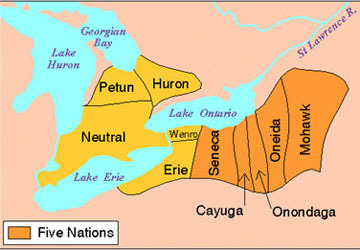 Iroquoian-speaking peoples of the Great Lakes in the early 17th century. Douglas Coupland, Thomson no. 7 (Stormy Sky). 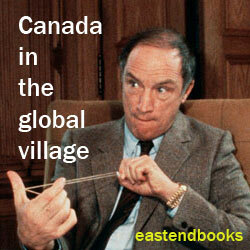 Our sources say it will appear in the next-to-be-printed issue of Ontario Archaeology. This will take place in Midland, Ontario, October 16–18, 2015. ?And the event will be jointly hosted by The Eastern States Archeological Federation. It will be held at the Best Western Plus Highland Inn & Conference Centre, 924 King Street, Midland, ON L4R 4L3, Canada. For further information contact the OAS at 1444 Queen Street East, Suite 102, Toronto, ON M4L 1E1, Phone: +1 (416) 406-5959, Email: info@ontarioarchaeology.org. Champlain’s first look at Georgian Bay, C.W. Jefferys, 1925 (Library and Archives Canada/National Archives of Canada fonds/C-000126). Alan Brunger & Peter Adams, “Đặt cược miễn phí ngay bây giờ 2019Trent and Champlain: A bond — ?University has paid tribute to early explorer since its founding days,” Peterborough Examiner. Bruce Trigger, The Huron : Farmers of the North. Champlain’s Cross and Celebrations of Champlain’s 400th Anniversary In Canada. 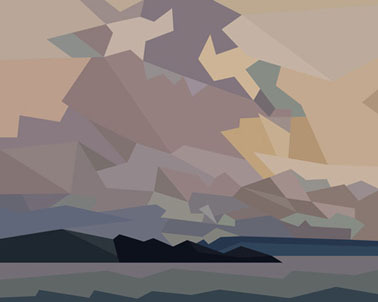 Composer John Beckwith work marks Champlain voyage. Conrad Heidenreich on Champlain in Huronia. Creemore event kicks off 400th anniversary of Champlain’s visit to area. David Montgomery, “The Lost Seven Leagues: Samuel de Champlain’s Landfall in Huronia,” Ontario Archaeology, No. 52, 1991. Kathryn Labelle, ?Dispersed but Not Destroyed: A History of the Seventeenth-Century Wendat People (2013). La Clé d’la Baie en Huronie celebrates 400 years of history … since the expedition of Samuel de Champlain. 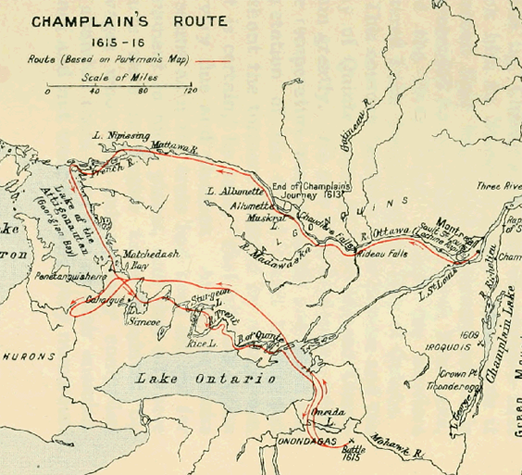 Tracking Samuel de Champlain’s routes in the Kawarthas … Three men working on a book to commemorate the 400th anniversary of Champlain’s visits to the region. Two exciting events to take place in Lafontaine in 2015 … L’écho de Champlain en Huronie (April 23–24) … Le Festival du Loup en Nouvelle-France (July 16–19). Visit and explore Penetanguishene, Ontario, Canada … Tourism, Travel Guide. Welcome to the Penetanguishene Centennial Museum and Archives. CANADA DAY, WEDNESDAY, JULY 1, 2015.